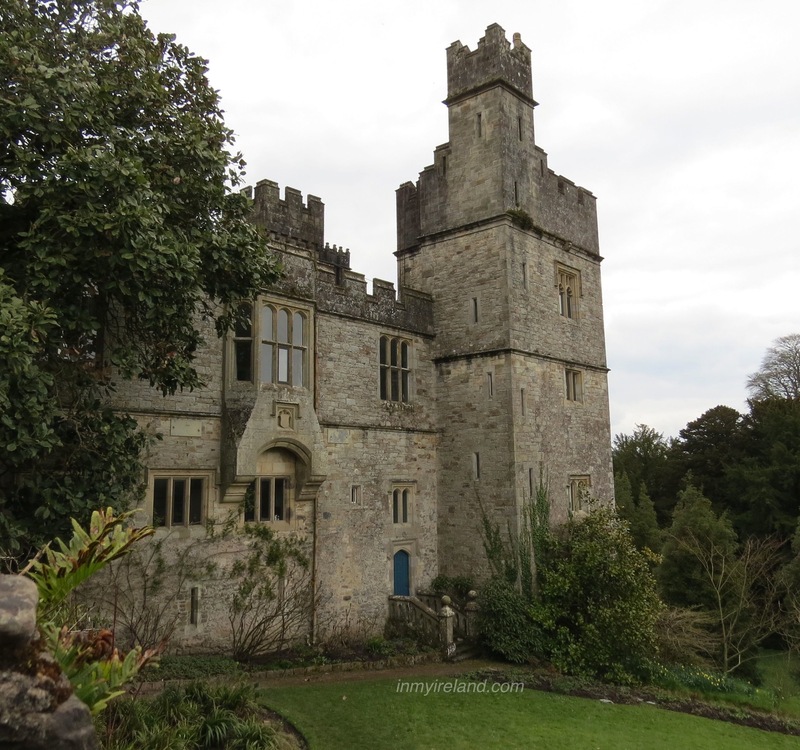 An exploration of Ireland’s beautiful castles. 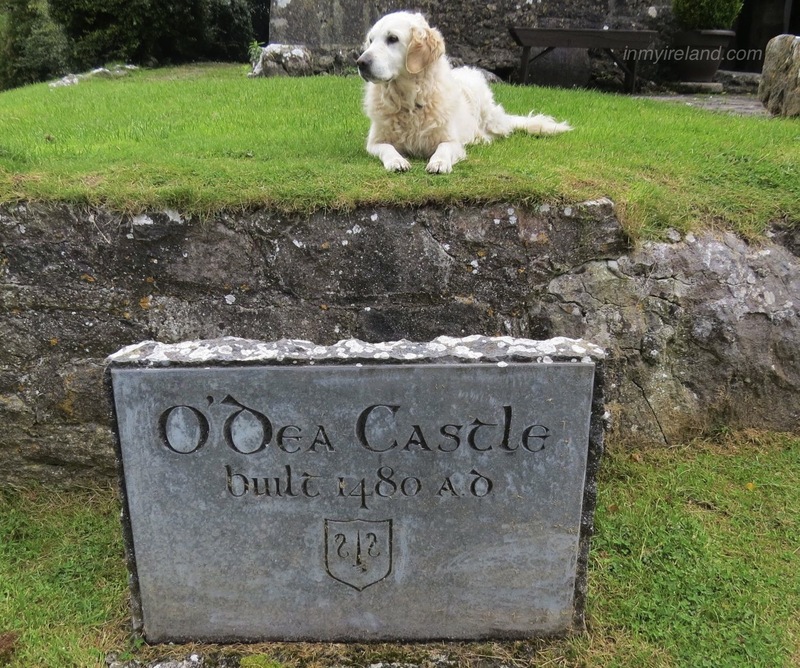 O’Dea Castle, also known as Dysert O’Dea Castle, is an Irish fortified tower house, situated at Dysert O’Dea (Irish: Dísert, meaning “hermitage”), the former O’Dea clan stronghold, 5 kilometres (3 miles) from the village of Corofin, County Clare just off the R476 road. 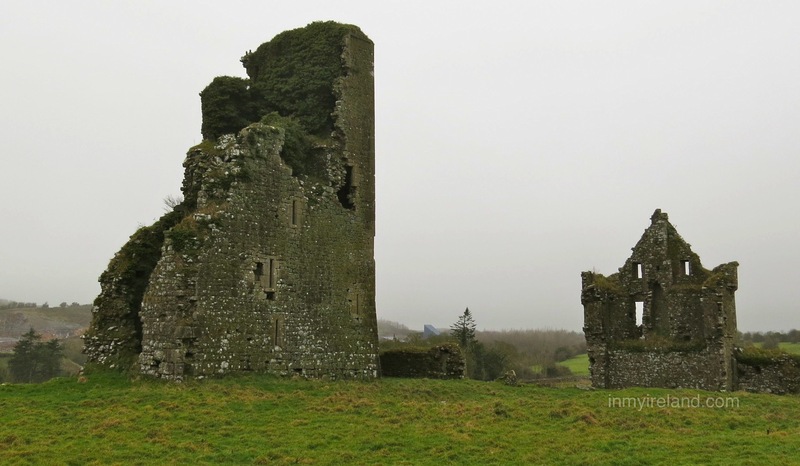 When driving to Corrofin from Ennis, look for the sign posts, then follow the track and finally the castle, which is slightly hidden, but well worth a visit. 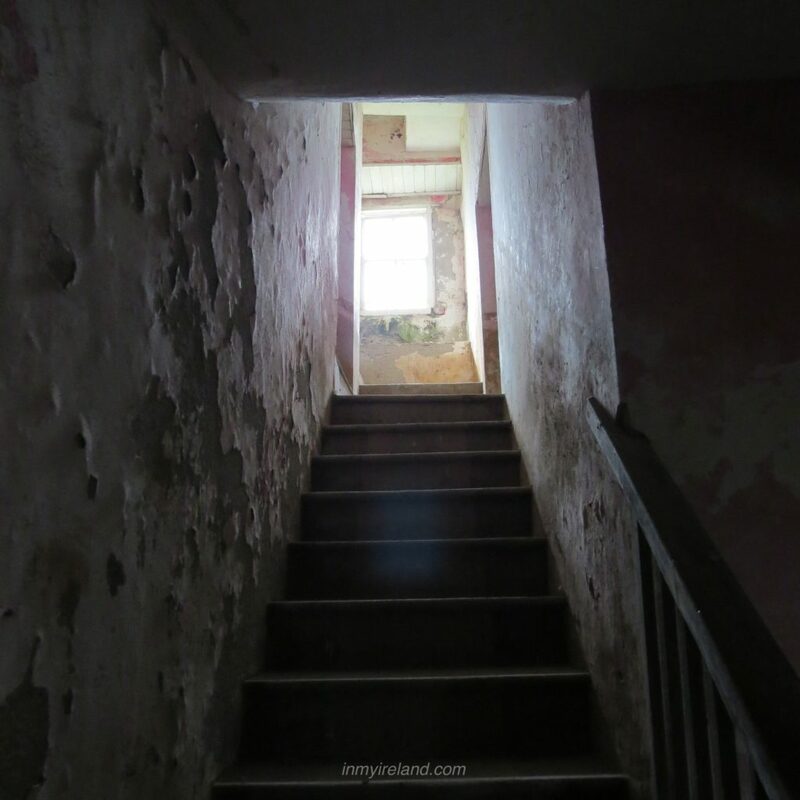 After the fall of Limerick in 1651 to the Cromwellian forces, they maintained a small garrison here, but as soon as they left, the soldiers demolished the battlements, upper floors and staircase. 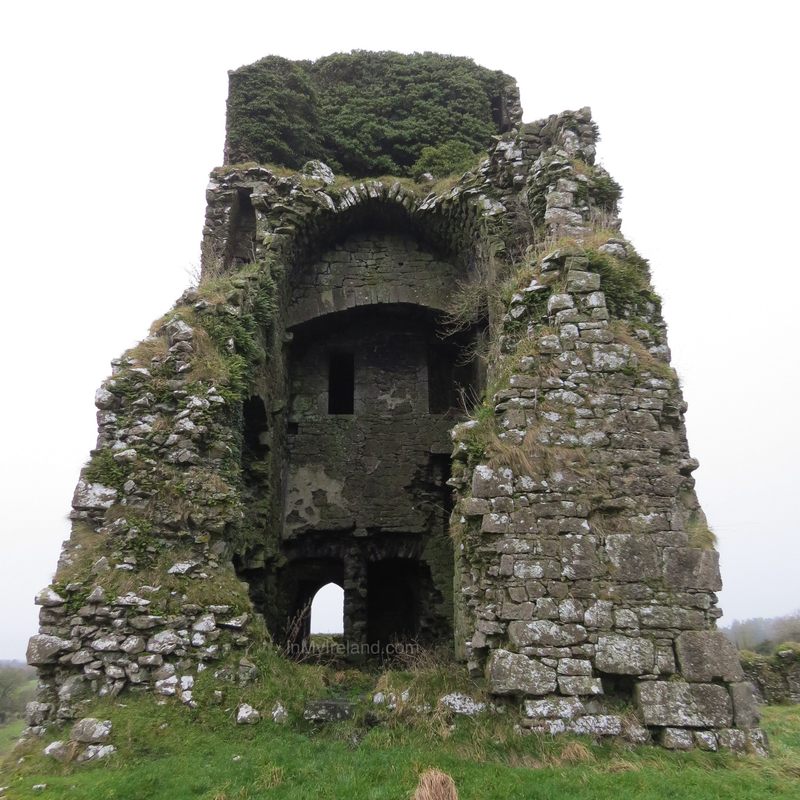 The Neylon family then returned but during the reign of Charles II, Conor Cron O’Dea managed to regain the castle. Conor’s sons, Michael and James, supported the cause of James II and once again lost the castle though. 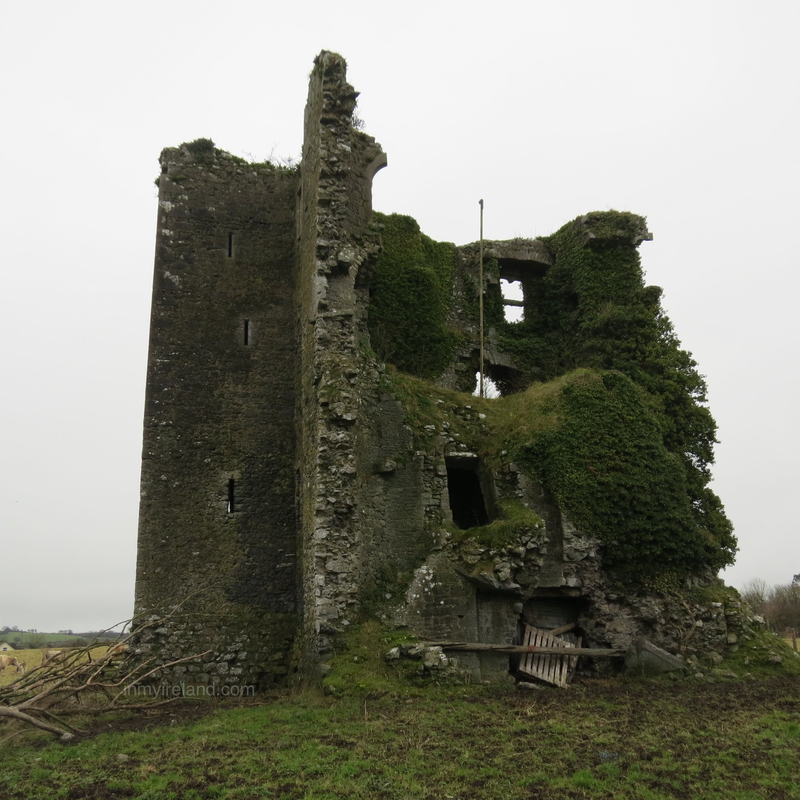 The lands passed to the Synge family but the castle eventually and gradually fell into ruin. In 1970, John O’Day of Wisconsin Rapids, Wisconsin (USA) purchased the tower and had it restored. The castle was then leased to the Dysert Development Association, which, with support from the Irish Tourist Board, opened it as “The Dysert O’Dea Castle Archaeology Centre” in 1986. It showed an exhibition of local artefacts from the stone age to 1922. 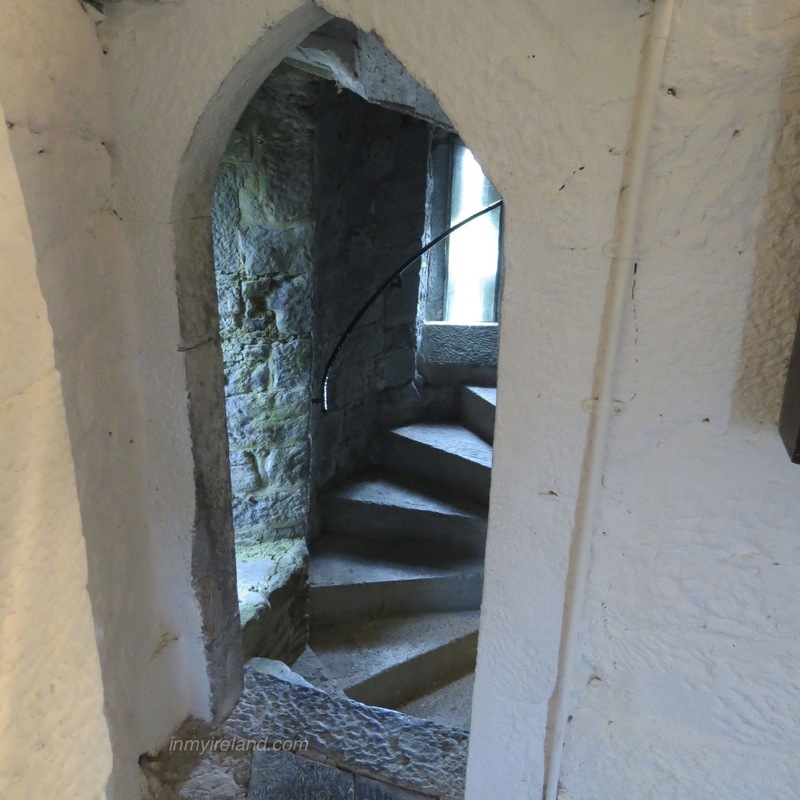 The tower won the “Clare Tourism Award” for being one of the most authentically rebuilt castles in Ireland. It is open to the public for a small entrance fee and well worth a visit and exploration. 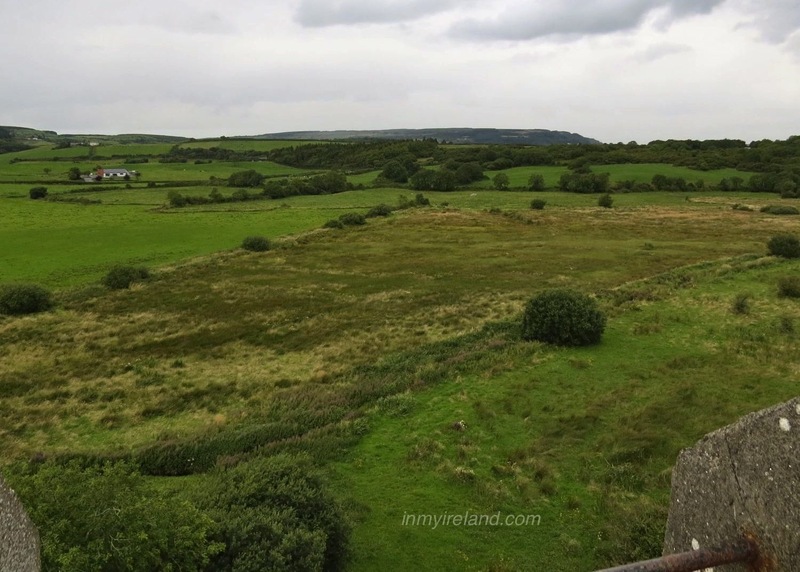 We were able to explore the castle at our leisure and even go onto the roof, where we were treated by amazing views of the surrounding countryside. Kilkenny Castle is one of the best known and most visited castles in all of Ireland and rightfully so. This massive, beautifully restored castle dominates its section of the city center of Kilkenny. It has been opened to the public after extensive renovations and offers tours as well as access to its park, a haven of beauty, quiet and nature in the busy city center. Kilkenny formed part of the lordship of Leinster, which was granted to Strongbow. Strongbow’s daughter and heiress, Isabel, married William Marshall in 1189. The Earl Marshall owned large estates in Ireland, England, Wales and France and appointed Geoffrey fitz Robert as seneschal of Leinster. 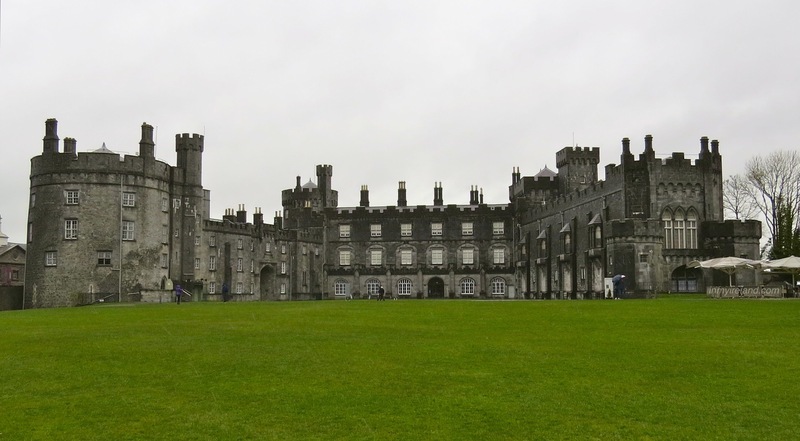 So began a major phase of development in Kilkenny, including the construction of Kilkenny Castle, the first stone castle on the site, construction started in 1195 and was completed in 1213. This was a square-shaped castle with towers at each corner. Three of these original four towers survive to this day. James Butler, 3rd Earl of Ormonde, bought the castle in 1391 and established himself as ruler of the area. The powerful Butler family were to remain the owners of the castle for over 500 years, until in 1967, after a period of neglect, James Arthur Butler, 6th Marquess of Ormonde, sold Kilkenny Castle to Kilkenny Castle Restoration Committee for £50. The Kilkenny Castle Restoration Committee then handed the castle over to the State and it has since been refurbished and opened to visitors. The castle is well worth a visit and has a lot to offer its visitors. For art lovers art of the National Art Gallery is on display in the castle and some truly beautiful paintings adorn the rooms of the castle’s walls. For nature lovers the extensive park offers hours of walking along the river or through the woods, where you can find an abundance of birds, waterfowl and squirrels. There is also a lovely play area in the park, for families with young kids. 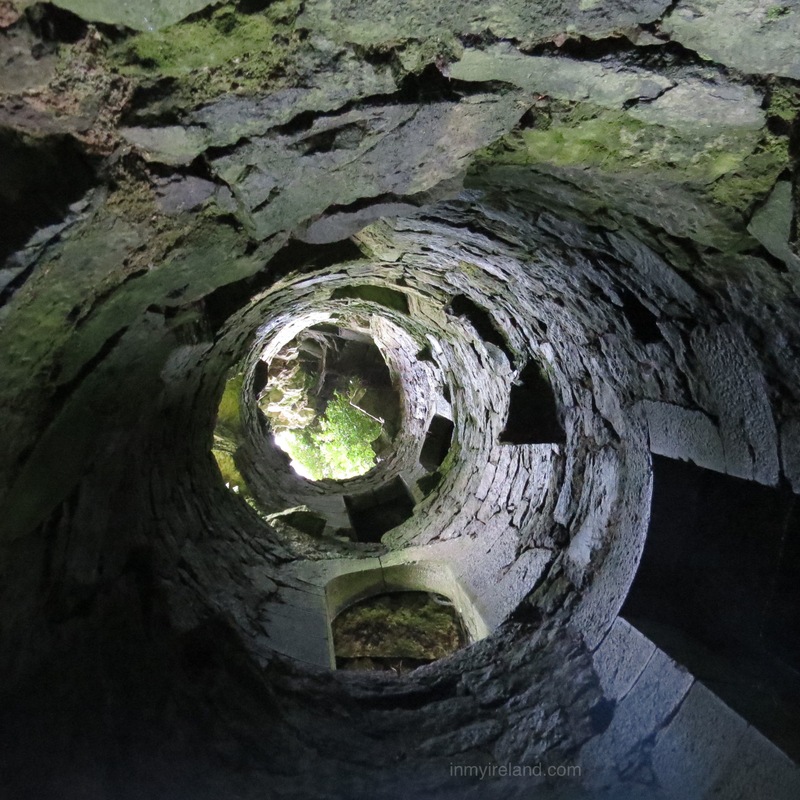 Leamaneh castle is a well known landmark in the Burren, situated on a crossroad between the villages of Corrofin and Kilinaboy, it can be viewed from the roadside, but due to it’s state of disrepair and location on private farmland, is not accessible to the public. It is however highly recommended as a quick stop during a visit to the curious Burren. The castle’s name “Leamaneh” is believed to be derived from the Irish léim an éich which, translated into English means “the horse’s leap” or léim an fheidh (“the deer’s leap”). 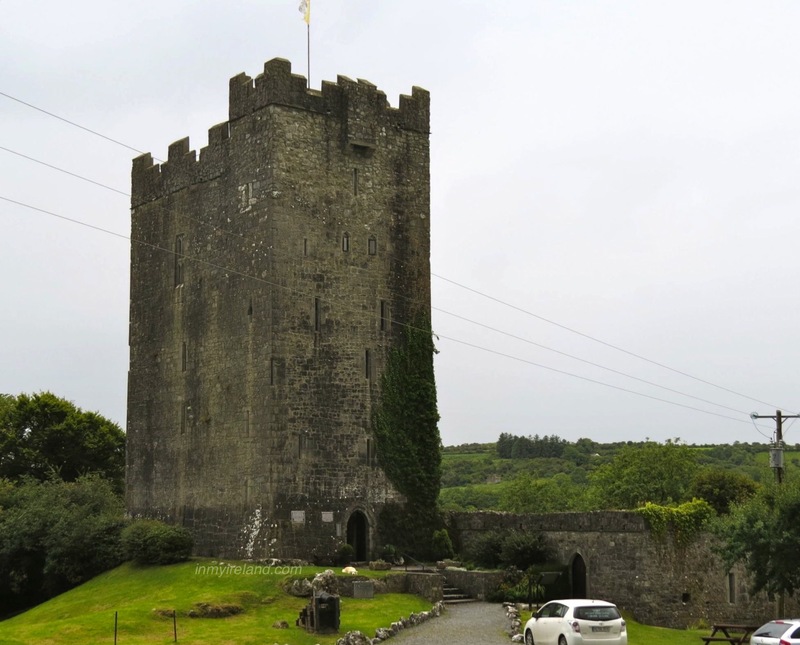 It was built circa 1480-90 as a 5-storied Irish tower house, probably by Toirdelbhach Donn MacTadhg Ó Briain, King of Thomond of the O’Brien family, one of the last of the High Kings of Ireland. In 1543, Turlogh Donn’s son, Murrough surrendered his title of King to Henry VIII and was created in 1st Earl of Thomond and Baron Inchiquin. 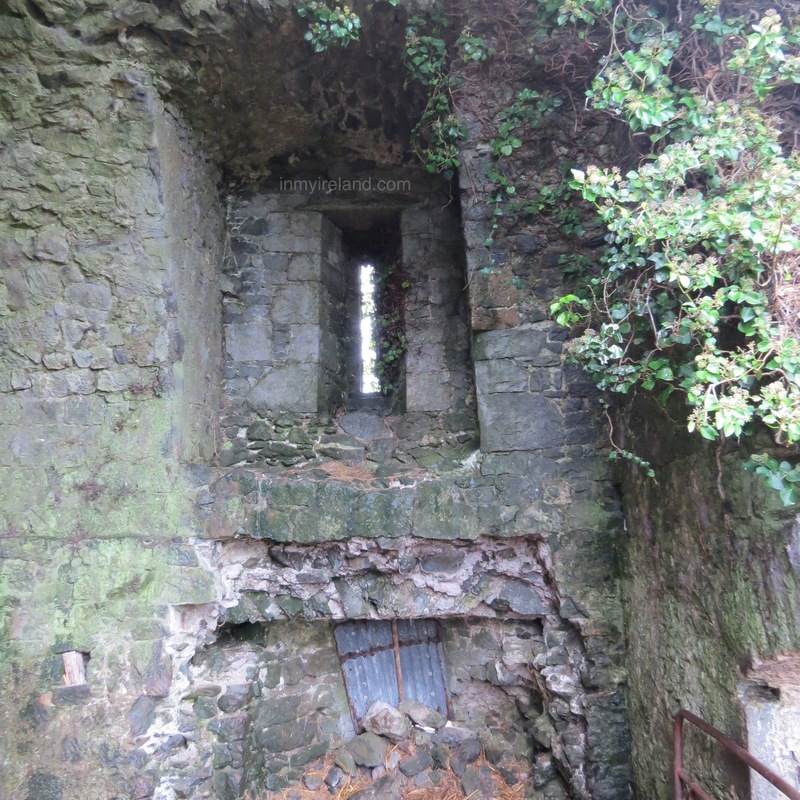 In 1550, Murrough gave Leamaneh castle to his third son, Donough, who was hanged in Limerick in 1582 as a rebel. In 1639, Donough’s grandson, Conor O’Brien, married the castle’s most famous owner, Máire ní Mahon (MacMahon), better known as Máire Rúa (“Red Mary”). She was the daughter of Sir Torlach Rúa MacMahon, Lord of Clonderlaw and her mother was Lady Mary O’Brien, daughter of the third Earl of Thomond. Her first husband, Daniel O’Neylan of nearby Dysert O’Dea Castle, died young and upon his death, she gained control of his substantial estate and a £1,000 fortune. This wealth enabled her and Conor to build a more comfortable mansion on to the original tower house at Leamaneh around 1648. Brave Máire accompanied her husband on raids against English settlers, but in 1651, he was mortally wounded fighting on the Royalists’ side at Inchicronan (Crusheen). Máire, realizing that the punishment for his rebellion against the English would be the forfeiture of their property, put on her finest dress and drove her carriage to Limerick city, where she offered to marry any Cromwellian officer who “had the courage to ask for” her hand. 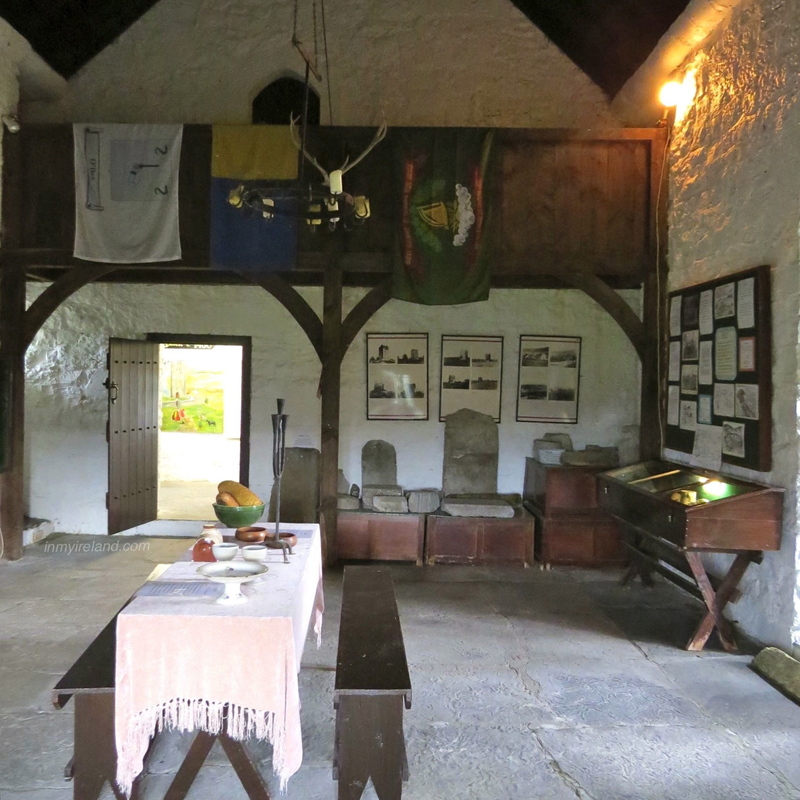 The brave man who became Máire’s third husband, Cornet John Cooper was a Cromwellian soldier and through this marriage she successfully retained her estates. Cooper left the army and amassed some wealth through land and property speculation. However, he later ran into financial difficulty and, as a result, the estate which he had married into at Leamaneh, which he under law now owned through his wife, was mortgaged to repay his debts. According to legend, Máire murdered him one night when he was drunk, by throwing him out of a window at Leamaneh castle. During the 1660s, Cromwellian troops were stationed on and off at Leamaneh castle. Máire Rúa’s son, Donagh or Donough (after 1686 Sir Donat) stayed there until 1684/1685, when he moved the family seat from Leamaneh to the much larger Dromoland Castle in Newmarket-On-Fergus, south of Ennis. 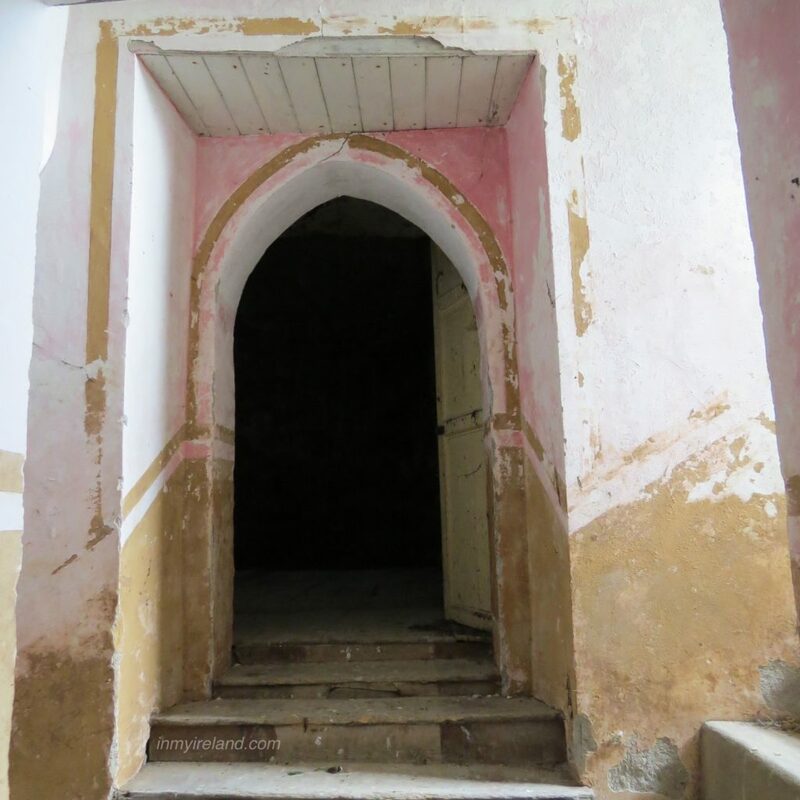 Leamaneh had various occupants in subsequent years, but the house finally fell into ruin at the end of the 18th century. The barbican-like gates which used to adorn the entrance to the property were moved to Dromoland Castle in 1906 or 1908 by Lord Inchiquin. They are still in the grounds in there. 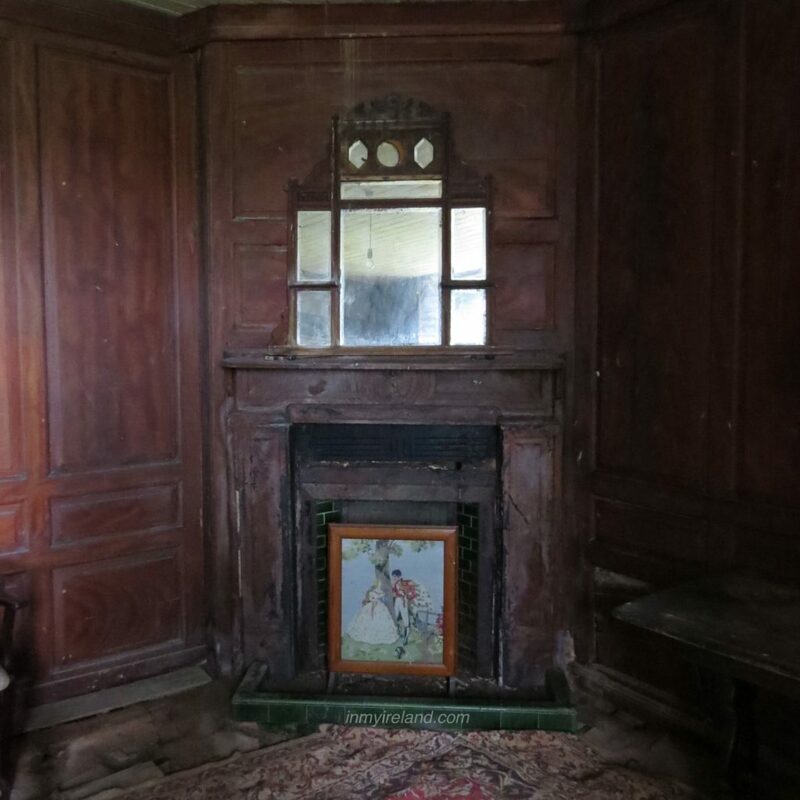 The most elegant of the fireplaces of Leamaneh castle was relocated to the “Old Ground Hotel” in Ennis, where it can still be found today. Kilbline castle and its attached 2-storey house is situated approximately 1 mile from Bennetsbridge, Co Kilkenny. It is not open to or accessible to the public, but its current owners kindly gave me a quick tour of the building and some information on its history. 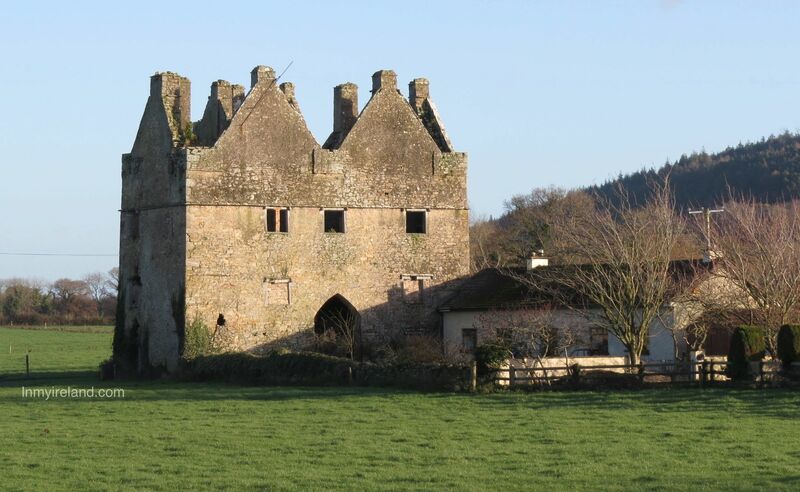 Kilbline castle was built in 1539 and records from the era reference to it being forfeited by one Thomas Comerford of Ballymac in 1566. 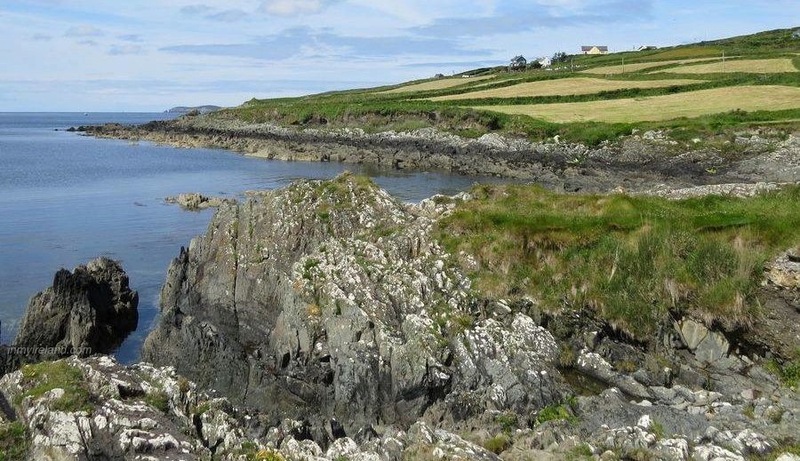 Subsequent owners have been members of the Shortall family of Rathardmore Castle in the same county. Thomas Shortall of Rathardmore died in 1628 and shortly after his heir Peter moved to the castle of Kilbline. His substantial estates, which ran to around 1,500 acres were declared forfeited by the Cromwellian government in 1653 and his sons ordered to be sent to Connaught. In later years, it’s believed to be after the restoration of Charles II in 1660, one of the sons seem to have returned to Kilbline. Kilbline once more changed hands during this period when William Candler, originally from Newcastle in Northumberland, was granted lands in County Kilkenny, including those on which Kilbline Castle stands. He is believed to have served as an officer in Oliver Cromwell’s army during the Irish wars of 1649-53 and as a reward for his endeavors, was promoted to the rank of Lieutenant Colonel and granted these lands as result. He and his wife Anne Villiers had two sons, the younger of whom, John lived at Kilbline. An interesting side history here that is worth mentioning: John’s son Thomas lived at Callan Castle. He had four sons, the youngest of whom Daniel, married an Irishwoman, possibly a Roman Catholic, called Hannah, and as a result was obliged to leave Ireland. Around 1735 Daniel and Hannah Candler moved to the USA, initially settling in North Carolina before moving to Bedford, Virginia. Their great, great, great-grandson was Asa Griggs Candler, the entrepreneur who in 1888 bought the formula for the well known soft drink Coca Cola. According to it’s current owners Kilbline Castle continued to be occupied with a Ryan family living in the castle until 1840, before marrying into the Lannon family, who occupied the castle until 1979. At some point a two storey three-bay house was added on the west end of the tower house and a further single storey structure adjoining this. 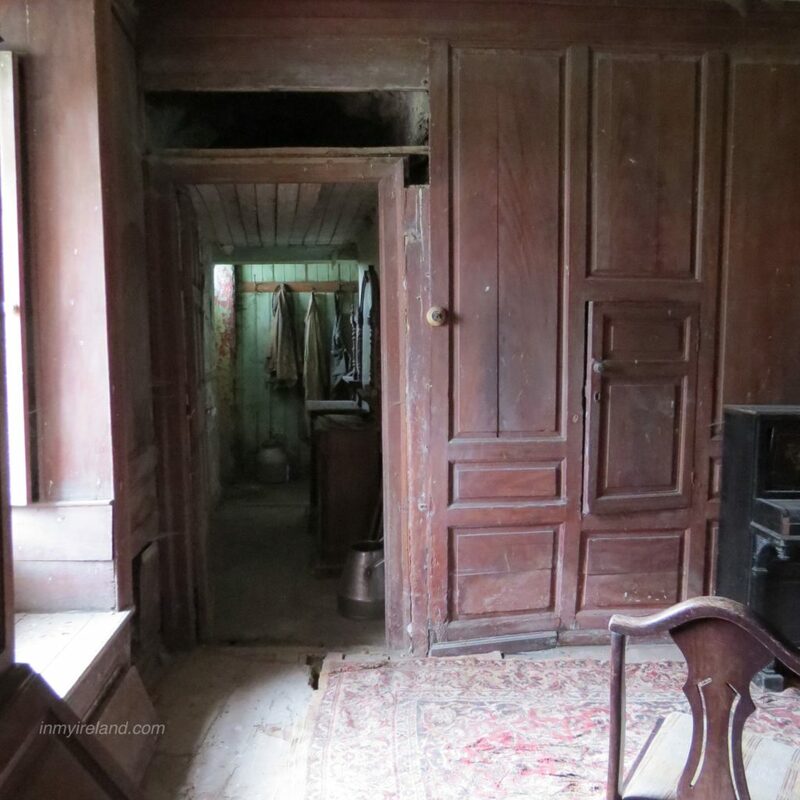 The interior of the house remains relatively intact and though the current owners mentioned no plans are in place currently to restore the castle, measures have been taken to “keep the rain out”. Much of the castle, due to the questionable condition of some of its floorboards, were inaccessible for safety reasons, but I did get to visit the delightful and architecturally significant paneled room on the south-east corner of the ground floor. Most likely of oak this looks to date from the late 17th or early 18th century. All the wall paneling is intact and in remarkably good condition. 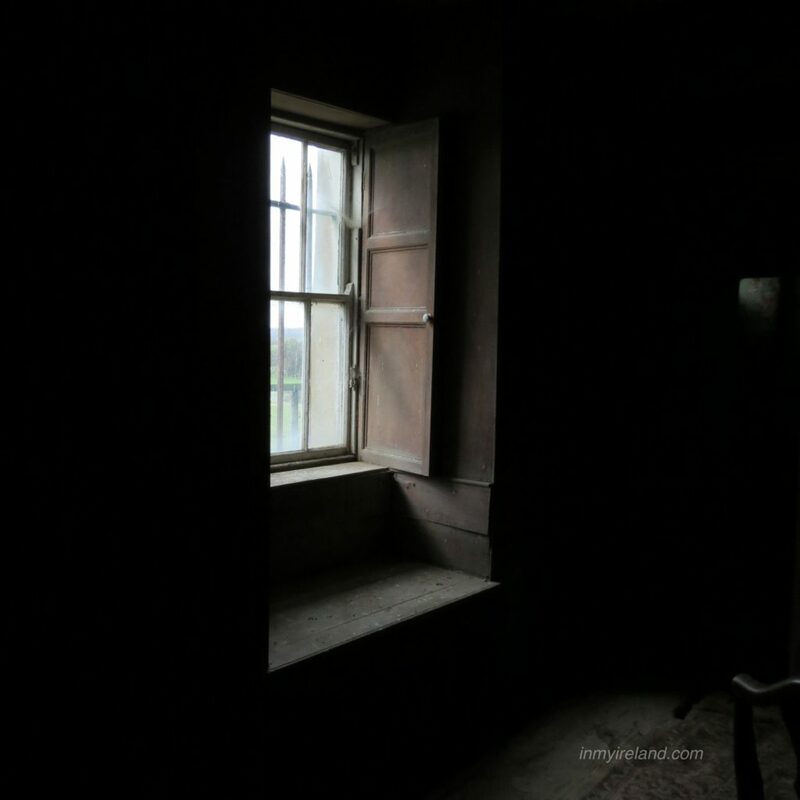 Overall the interior of the castle is in fair shape and it was an absolute joy to visit and photograph. “The House at the Weir” (In Gaelic, Teagh-an-Corr), now known as Tickincor Castle, was once a once formidable three-storey fortress built during the reign of James I. About 3 miles from Clonmel, it is situated on the south bank of the river Suir, on the Tipperary/Waterford county border. This former stronghouse was built by Alexander Power in c.1620. It passed to Sir Thomas Stanley and then in the 1650s to Sir Nicholas Osborne. His descendants continued occupying the castle until the late 18th century, when they moved to Newton Anner in Tipperary. Its last inhabitant, Sir John Osborne, died in 1743. Today all that remains of this once beautiful castle is ruins in a spectacular setting on the banks of the river Suir. Well worth the short drive to see it, the castle is adjacent to a privately owned and occupied property and not open or accessible to the public. 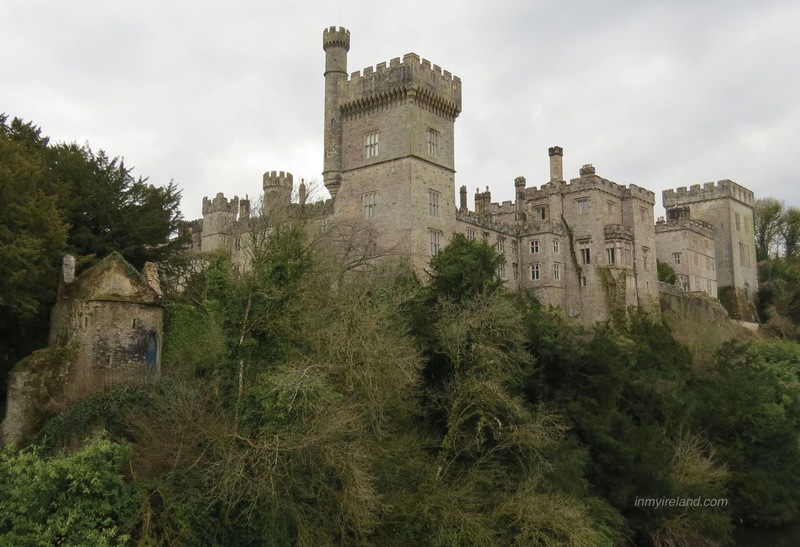 Little is known about Castle Higgins, one of the few castles scattered around the medieval town of Fethard, Co Tipperary, except that the Addis family is listed as occupiers of the castle in the year 1834. 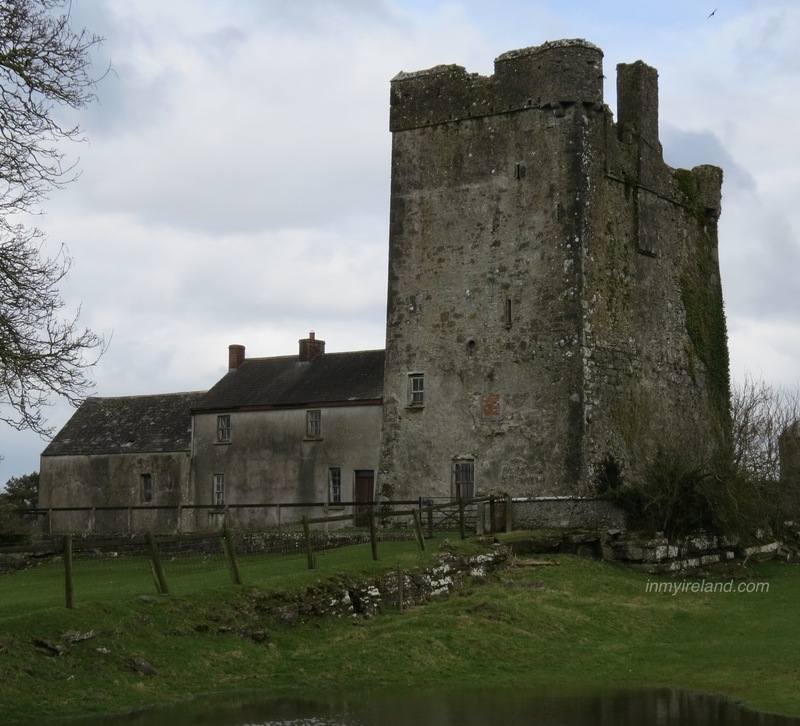 The castle is located a short drive from Fethard, in the Coolmundry townsland, along the R692, on private land used for grazing. 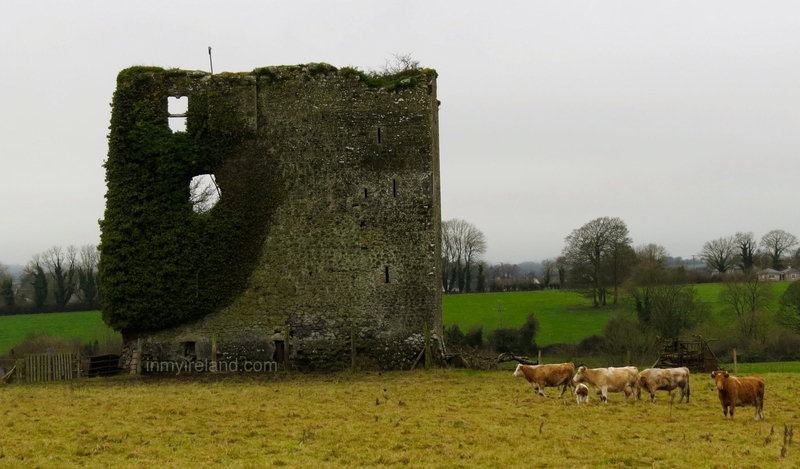 The castle itself is in derelict state and what remains is used to house the cows occupying the surrounding pastures. The ruins of Greystown Castle is set on an outcrop of limestone rock overlooking the Clashawley River valley, 3km west of the village of Killenaule. 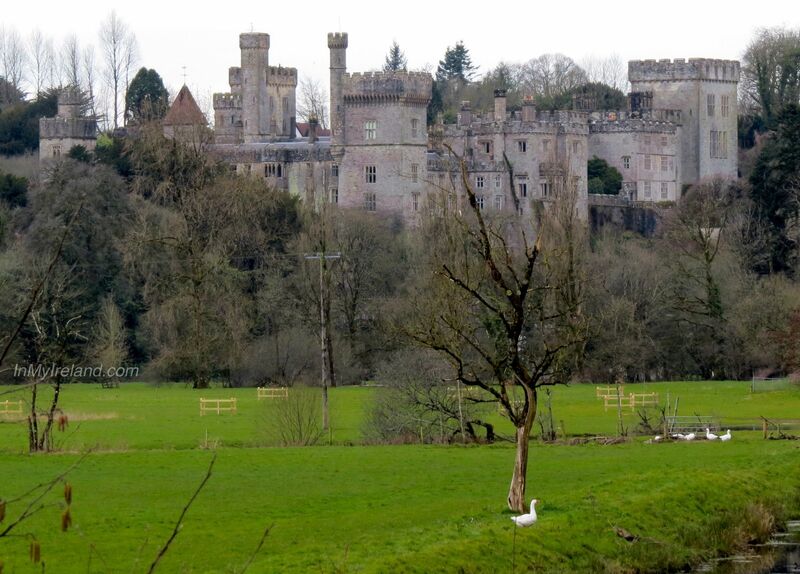 Graystown castle in it’s heyday guarded an important route linking north and south Tipperary along this river valley. It is said that the name Graystown derives from the Norman lord and military genius Raymond le Gros, who accompanied Strongbow on his invasion of Ireland around 1170. However, it seems more likely that the area is named after one of a number of Norman knights called Grey, who are named in documents from around 1300. The castle itself dates from the 1500s, extends to five storeys and is 60 ft. high. 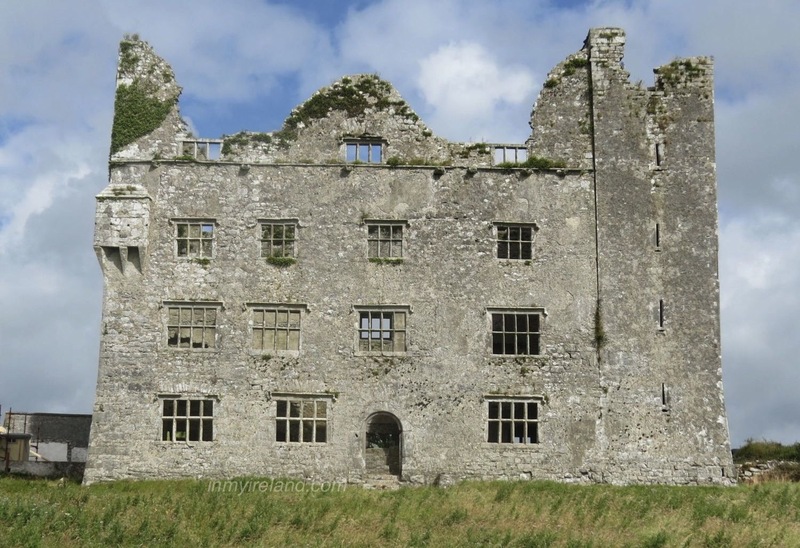 In the 1650s it was occupied by Henry Laffan, an official of the Butler Family and the castle was the residence of the Laffan family, who owned most of the parish of Graystown in the late medieval period. The site and associated structures were also owned by Henry Laffan. Graystown was later confiscated from Marcus and Henry Laffan by the Cromwellian administration and in 1659 two English men, Giles Cooke and Edward Pippen, were the principle land owners in Graystown. The Laffans failed to get their lands back after the Restoration of King Charles II. The castle had been unoccupied and left to fall to ruin over a number of years and today is quietly sitting in a field used mainly for grazing, overlooking the nearby quarry. It is well worth a visit, not least for the spectacular views over the surrounding countryside. The castle is situated on private land and dangerous to enter, so visitors are requested to view it only from the adjacent roadside.